What does the future taste like? Vile, if we do nothing about climate change. Climate change is driving more frequent and severe droughts in many parts of Australia. These changes are likely to have serious and prolonged effects on many everyday items Australians take for granted. Like beer. So to help raise awareness about the impacts climate change could have on their product, legendary craft brewers, Young Henrys, have taken time out from making their usual tasty brews, to develop a beer with a difference. A beer that lets people taste the effects of climate change. “Drought Draught brings the bitter taste of climate change to life in a glass. It’s been brewed under drought-like conditions to reflect the impact climate change could have on beer’s core ingredients in the future. Our “beer scientists” have teamed up with our suppliers and actual scientists, to brew an ale from drought affected hops, barley and using a drought affected water supply. It’s a painful thing brewing a beer where we have no control over quality,” says Richard Adamson, Young Henrys Co-founder and Head Brewer. Tastings of the beer will be made available to the public for one day only, on Saturday the 19th of March at the Young Henrys Newtown Brewery. 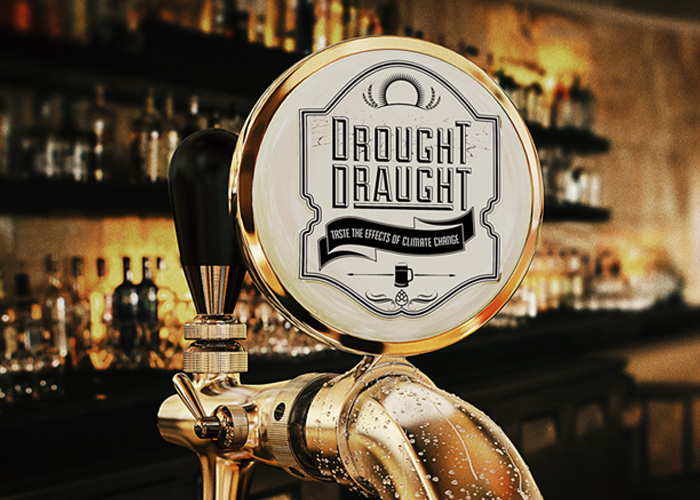 Young Henrys will also be donating the cost of every Young Henrys beer sold with a taste of Drought Draught to the Climate Council – giving Sydney-siders the opportunity to shout the planet a round. The Climate Council’s Professor Lesley Hughes said the future of one of Australia’s most popular beverages was under threat from climate change. “If you drink beer, climate change is already impacting you. In addition to hops shortages caused by more frequent and severe droughts, climate change is also reducing the quality of key crops used in the manufacturing of beer, including barley,” she said. “Drought Draught gives beer drinkers a chance to taste what the future looks like if we don’t effectively tackle climate change. Young Henrys Newtown Brewery is at 76 Wilford Street, Newtown and will be open 10am-7pm on Saturday the 19th of March.